Australian fashion week may seem kind of inconsequential to us North Americans, especially if you live in the bustling home of New York Fashion Week like I do. But as someone who thrives on being in the fashion loop on a global scale, it is crucial for me to get a taste of what spicy new trends are beginning to sizzle across the planet. And let me tell you, there are ever-so-many reasons to be inspired by what went down at Australian Fashion Week Resort 2019. Let’s take a look at some of the labels that really brought the magic this year, IMO. Sibling powerhouse Camilla and Marc reasserted their place in the vanguard of Australian fashion with a masterful collection that emphasized everything that has made the label a renewably noteworthy presence. The brand’s signature bold, feminine flourishes were front and center, with unexpectedly bold twists and turns by way of proportion and prints invoking the label’s signature over-the-top tendencies while maintaining an effortless sophistication to tie together this busy collection. Opening Australian fashion week for the first time since their ten-year anniversary in 2013, the label set a daunting precedent with a mix of experimental, reimagined menswear-indebted silhouettes. With high-profile models such as Charlee Fraser gracing their runway, it is evident that Camilla and Marc’s Australian Fashion Week Resort 2019 collection was conceived with the Instagram it-girls of the future in mind. Camilla and Marc proved that they are a dynamic duo when it comes to sending fire looks down the runway. Christopher Esber’s offerings for Australian Fashion Week Resort 2019 made for a lesson in cohesion, aptly showing the label’s proficiency for proposing collections that operate best within a well-defined set of limitations and inspirations. This year’s vision of resort season was dominated by sleek evening wear, interrupting an icy color palette with the occasional blast of bold blue or a warm shade of brown. I think Christopher Esber’s ability to dabble in streamlined and unquestionably modern elegance without creating an austere, insular environment is really worth shouting out. The collection’s more audacious moments (think sheer panels and plunging necklines) were nothing short of flawlessly-executed examples of sensual elegance. Christopher Esber’s collection was a definite high-point. The grass-lined pastures that complimented Lee Mathews’ runway show could not have been more à propos because let me tell you, I would definitely rock most, if not all, of these looks at the next outdoor function I am invited to. Flowing summer gowns, gingham patterns, and straw hats? Yes puh-leeze! 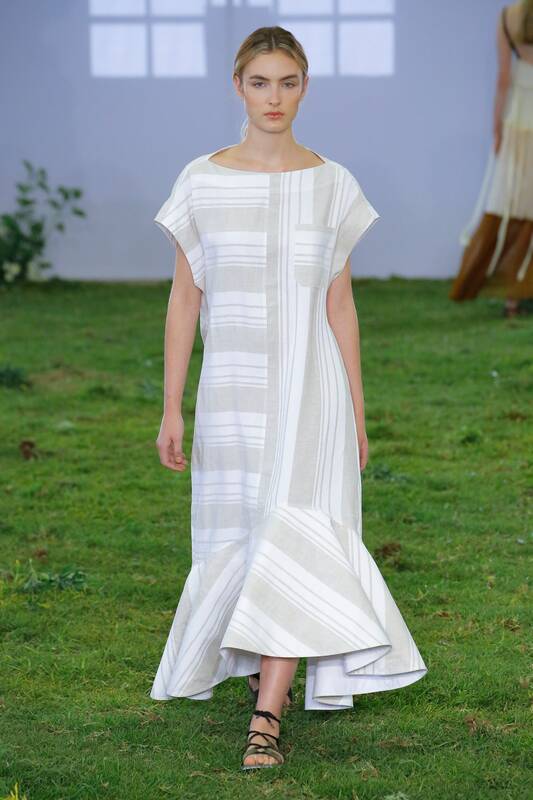 That being said, the prevalence of optic white hues suggests that this collection was meant to evoke a picnic rather than actually be worn while attending one, lest these beautiful garments get all scuffed up with grass stains and the like. All this to say, I think Lee Mathews really nailed what Resort Fashion Week is all about; a succinct collection of looks to spark the imagination when it comes to warm-weather outfitting. Lee Mathews’ collection was a walk in the park…of fashion!! If the collections I just recapped haven’t left you feeling totally inspired to glow up Australia-style, then feel free to check out some of the other runway collections that are equally stimulating. Showing that they definitely know how to serve looks, this year’s cast of designers proved that Australia Fashion Week is one worth following year after year.